The Open Your Bible Commentary was written to encourage daily Bible study. Each reading is short, but the content is rich with careful explanation, devotional warmth, and practical relevance. Its four great strengths are that it is accessible, digestible, dependable, and practical. 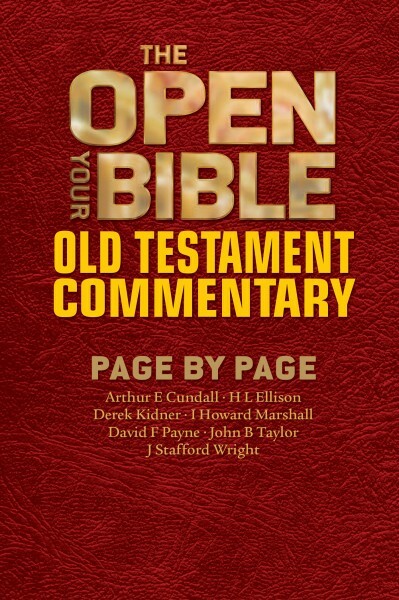 The Open Your Bible Old Testament Commentary contains nearly 1,000 daily readings. What sets this commentary apart from others are the pastor-teachers who wrote it. The list of authors is like a Who’s Who of evangelical scholarship, including Arthur E. Cundall, Derek Kidner, I. Howard Marshall, and others.